Geek's Guide to Britain He learned to fly aged 22, set up his first aircraft factory aged 24 and by 30 his fighters dominated the skies over the Western Front. Thomas Octave Murdoch Sopwith - later, Sir – founded the Sopwith Aircraft Company in 1912, turning out aeroplanes from a Edwardian roller-skating rink in Kingston upon Thames. Yes, the Edwardians had a love affair with roller skating. His firm and its successors notched up the firsts – float plane, tri-plane, British mono-wing fighter to exceed 300mph, aircraft capable of taking off and landing vertically. Some of these planes became legends: the Camel, best all-round fighter of the First World War, the Hawker Hurricane, mainstay of the RAF during the Battle of Britain, the Hawker Tempest that duelled with Adolf Hitler’s first jet fighters, and the Harrier jump jet – taking off and landing on the spot. But while these aircraft were revolutionary, they were also practical. Thanks to their cunning designs and an efficient manufacturing operation, Sopwith achieved market saturation in WWI and, later, of the RAF and of British aviation. 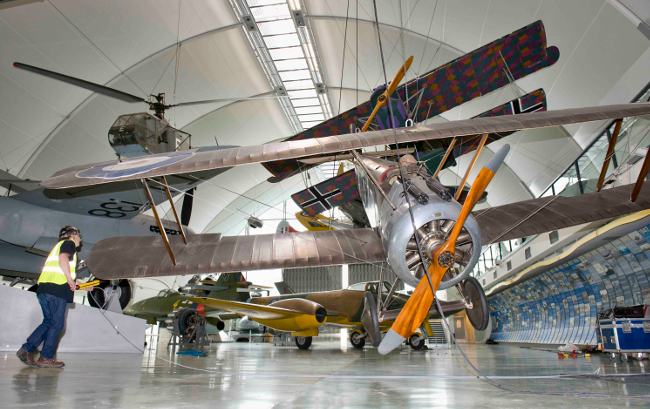 The story of Sopwith isn't just the aircraft - it's also a tale of business risk. Sopwith liquidated Sopwith Aviation to rise again and buy rivals as HG Hawker Engineering and then Hawker Aircraft. He also pressed on with the Hurricane without getting any actual government orders. His legacy? BAe Systems, the successor to those early firms: an £18bn global colossus employing 88,000 people, spanning diverse activities and today making the Hawk – flying the flag with the RAF aerobatic team, the Red Arrows. The backdrop for this manufacturing success wasn’t the industrial heartland of the Midlands but rather the market town of Kingston upon Thames, in leafy North Surrey. Sopwith established not one but three factories in Kingston, meaning a small town in the commuter belt was responsible for the majority of fighter designs in WWI and the heart of Britain’s military aviation industry for years afterwards. 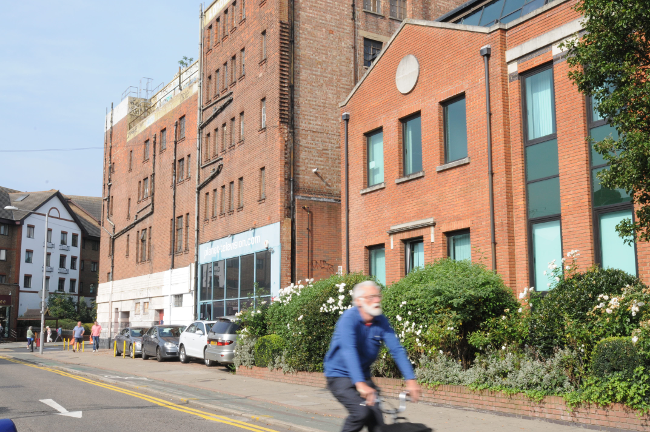 He became one of Kingston’s largest employers with a trio of factories plus research shop. Entire households became dependant on Sopwith's pay packets; over nine decades Sopwith and its successor firms is thought to have employed 40,000 in Kingston. A network of suppliers grew up, too, feeding in parts, materials and services into those Kingston factories. BAe closed the last site in the 1990s. All that's left today in the town are some random civic sculptures and streets bearing relevant names. Kingston University also runs undergraduate courses in aviation and has both a building and a scholarship named after Sopwith's top designer, Sir Sydney Camm. The Register decided to tour Sopwith’s former industrial town. We navigated the backroads searching for the lost buildings and former factory sites. Along the way we saw plenty of plaques on walls. These are the work of Kingston Aviation, which has been running events with Lottery Funding, to raise awareness of Kingston's aviation past. Kingston Aviation is the work of ex-aircraft manufacturing engineer David Hassard, who we spoke to for this piece. We started at the site of the Edwardians' roller skating rink on Canbury Park Road: the first of Sopwith’s three Kingston plants. Back then, Canbury Park Road had Victorian terraces down one side, facing mansions on the other and a the top a single story cinema called the Cinem Palace in the early 1900s replaced by a modernist bunker that was the Regal cinema at the top by the 1930s. The Rink pressed its cheek up to the wall of both cinemas. Today, the cinema is closed, with the building being home to a dance studio and TV shop around the side, with sprigs of Buddleia shooting from various brickwork. The rink and mansions are gone, knocked down for red-brick and green-glass offices. It all feels post industrial and sort of run down. A narrow alley runs between the cinema and the offices on what would have been the Rink’s entrance. Back in the 1912 the rink glowed with modern civic pride; arched windows and Art Nouveau signage on the front, looking like a conservatory. What lay behind was a space of 13,000 square feet with a high roof and no internal columns: ideal for skating. Or, for building aeroplanes. Educated in engineering, Sopwith was fascinated by almost anything with a motor and was taken with new-fangled aeroplanes. Having learned to fly and formed an aviation school at Brooklands Airfield in Weybridge,15 miles away, in 1910. 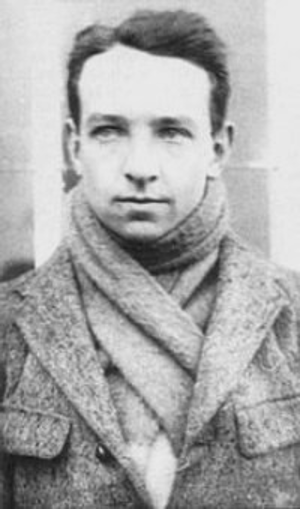 He was joined by two of the three brains that would help him design and deliver those first planes: Fred Sigrist, an engineer on Sopwith’s yacht who became engineer and designer, and an Australian named Harry Hawker who'd worked at Daimler and become Sopwith’s test pilot and co-designer. Their first order came in 1912, for the Sopwith Hybrid, from the Royal Navy. Having talked the talk, Sopwith and Co. had to deliver the goods. He needed a factory and so came to river-side Kingston. The Bat Boat that was also orderd by the Navy in 1913 was the first aircraft built in Kingston. It was also the first successful British flying boat. Why pick a rural market town where retail (department store Bentalls opened its doors there in 1867) was the big thing? Kingston had developed as important post for trade and transport thanks to its history as a major Thames crossing point. This meant a work force on tap skilled in building with wood – skills not dissimilar to those used in building the first aircraft.